To link a location to your organization and all its related documents and records, you need to assign client types to each location. In addition, the client types define what kind of clients are present at any of your specific locations. Click the name of your desired location. Click the Assign Client Types button at the top left. You will be taken to the corresponding section, where you will find a list of any client types already assigned. Click New, at the top left of the list, to add a new client type to this location. 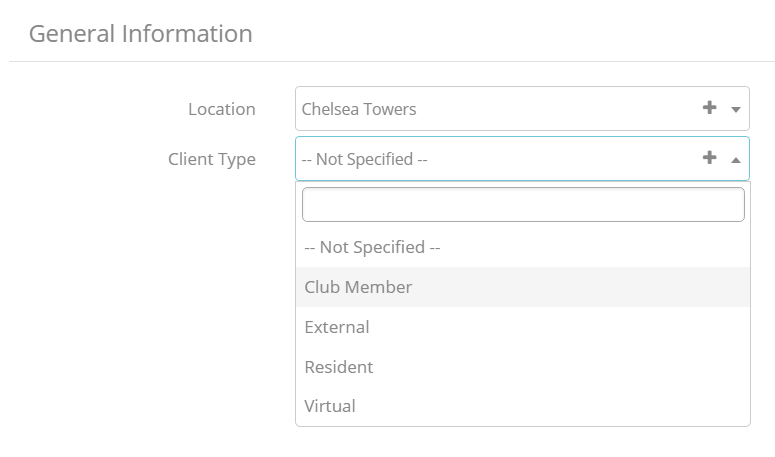 Now, simply check the location and select a client type. Save your changes when ready. Please click the following link for a guide on how to configure your system-wide client types under Settings General > Organizations Client Types.